This artichoke and spinach tart is packed with flavor. I added roasted garlic and chopped sun-dried tomatoes and covered the mixture with mozzarella. As a reminder of the flavors in the filling, I garnished the tarts with the main ingredients and a sprinkling of a few sunflower seeds for texture. Making savory tarts is so easy when using store-bought puff pastry. Simply raid your pantry and refrigerator and smartly pair your favorite ingredients. You'll be able to accomplish two things: complete a delicious meal and get rid of leftovers at the same time! For the tart shell: Make sure the puff pastry dough is thawed but still cold so it's easy to roll out. Place the dough in 8 individual tart molds lined with parchment paper; following the curve of the mold, crimp the dough against the edge. Gently press the dough with your fingers so there are no air bubbles. Leave a little excess above the edge because the dough will settle a bit in the oven. Prick the dough with a fork. Chill in the refrigerator for about 20-30 minutes. Cut 8 artichokes into thin slices, then cut the pieces in half crosswise. Set aside for garnish later and cut the rest into rings and break them apart. Heat 1 tablespoon olive oil in a pan. Add the shallots and cook over medium-low heat, stirring occasionally, for about 6-7 minutes, until they're softened. Add the artichokes and spinach. Cook until all the leaves are wilted. Season with salt and pepper. Bring to a boil, then turn off the heat. Season with salt and pepper. Set aside. In a saucepan, melt the butter over medium-low heat; you don't want it to burn. Bring the heat back up to medium-high (the butter should be hot and golden) and add the flour. Keep stirring manually with a whisk for approximately 3 minutes. When a thick paste is formed, add the milk in 3 stages and stir well until fully incorporated. Increase the heat and continue cooking for about 5 minutes, stirring constantly. Reduce the heat to low. Add roasted garlic, fromage blanc, mozzarella and 4 tablespoons Parmesan. Season with salt and pepper. Mix well. 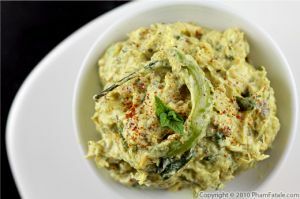 Chop the shallot / spinach / artichoke mixture very finely and add it to with the sun-dried tomatoes to the creamy mixture. Mix until evenly distributed. Adjust seasoning if necessary. 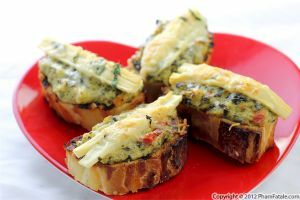 Fill the tart shells with the artichoke spinach spread. Top with 1½ teaspoons mozzarella cheese. Place in the oven for 23 minutes until the top is golden. 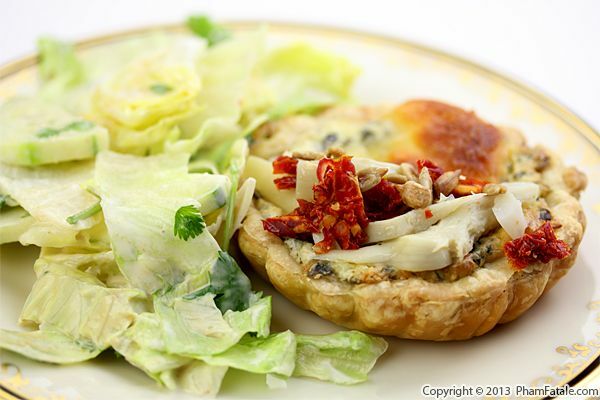 Garnish with sliced marinated artichokes, chopped sun-dried tomatoes and sprinkle with sunflower seeds. Serve warm with a salad on the side. 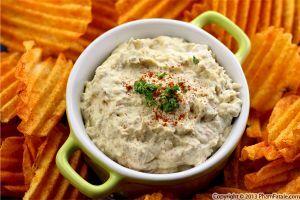 You could also serve these as appetizers. 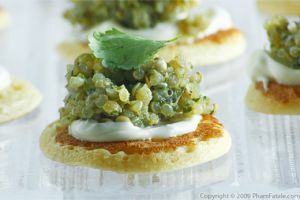 Just line mini tartlet shells with the puff pastry dough and top with the artichoke spinach spread. If you can't find fromage blanc, you could substitute low-fat cream cheese. Published By: Jacqueline Pham on July 31, 2013.